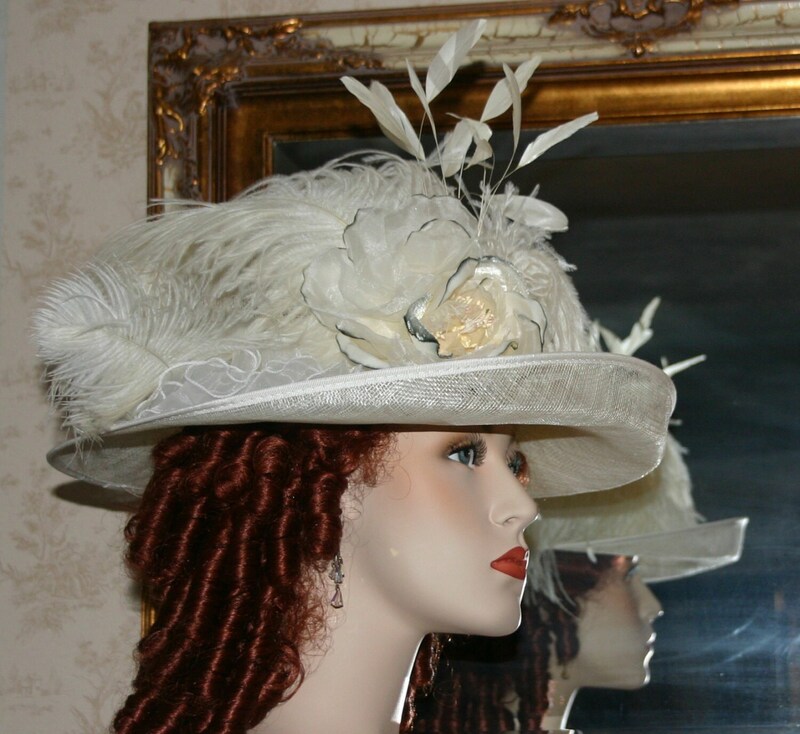 Edwardian Hat, Downton Abbey Hat "Countess of Grantham" is a perfect for Kentucky Derby Hat and Ascot too! 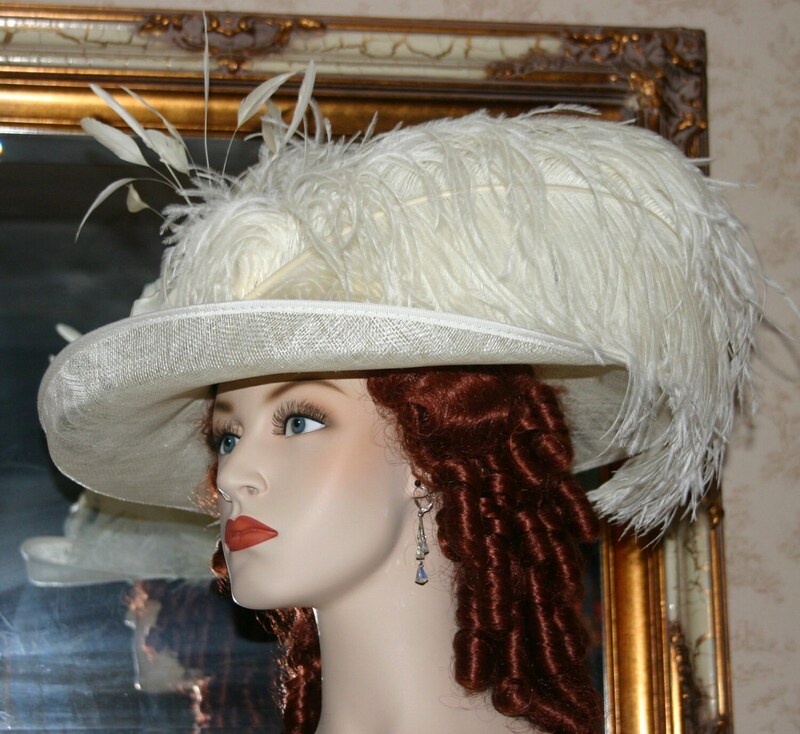 It's designed over an ivory sinamay hat base with a brim that turns up in front. 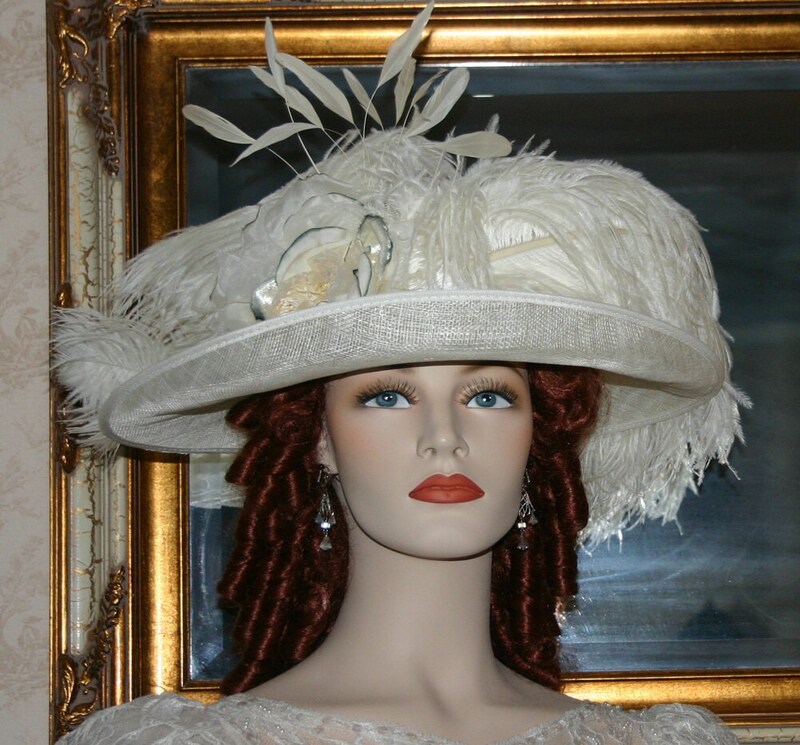 The hat band and accent is ivory organza. The ivory rose with ink edge is organza too. The backdrop behind the rose is delicate petite Ivory coque feathers. 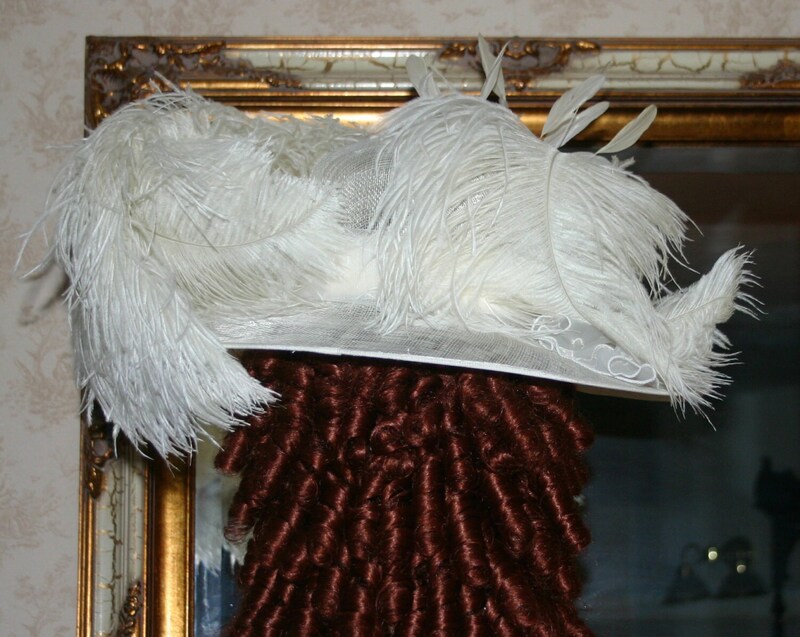 Beautiful burnt coque feathers float gracefully above the crown of the hat and gorgeous hand dyed ivory ostrich plumes sweep around the brim of the hat. This would be a perfect tea party hat, Titanic hat, or even a great Kentucky Derby hat. This hat size measures 22 inches and has a built-in hat size reducer so it can be made smaller for a perfect fit. Please see instructions below: How to measure your head.